I posted a photo of the falafels I made on my Instagram - newbie here - and I have been asked me to share my recipe. So here it goes! Before we dig into it, follow me on Instagram so you can see more of the food I cook. It’s called Cook_with_Lu. 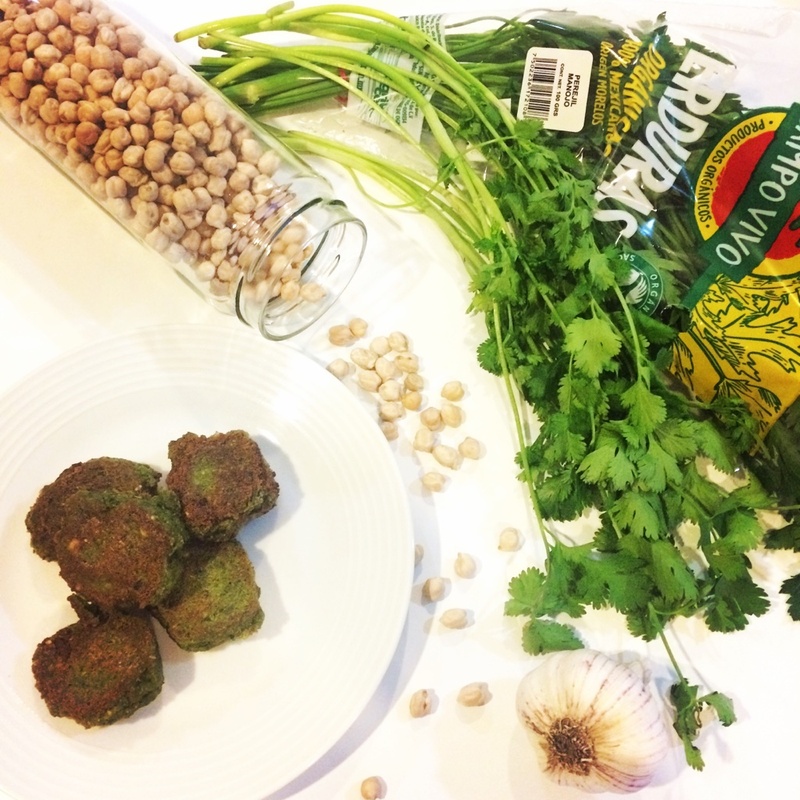 I tested out several recipes of falafels; I was never completely satisfied with any of them. 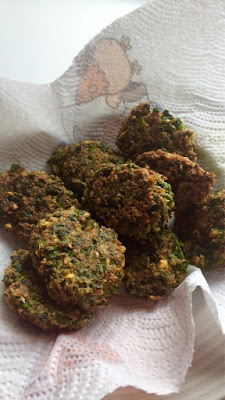 There was always something that I did not like, one recipe was too runny and the falafels fell apart when I was frying them, another called for the oven cooking method and they came out very dry, another was not tasty enough. Anyhow, I took what I liked from each of them and came out with this recipe that works for me. - Wash and drain well the fresh herbs. 4. Heat a non-stick pan with some vegetable oil (I use either olive oil or grape seed oil) on medium heat. Don’t burn the oil! I live in Mexico City where baking and cooking can be quite challenging because of the high altitude. That is why I like to pan fry the falafels instead of using the oven that quickly dries them up. As I always freeze some to serve them in my kids’ lunchboxes, I personally believe the freezing process dries them up even more. That is why I prefer this cooking method. Some recipes call for canned chickpeas. Personally, I don’t recommend using the canned version as they are cooked. They will leak more water into the mixture and you will have trouble shaping the patties. At last, that happened to me. The patties miserably collapsed in the pan. I ended up with a kind of big falafel pancake. And if you are anything like me and LOVE the fresh herbs, keep in mind they will leak some water as well. Alright, I hope you will give that recipe a try. Leave me a comment and tell me how you liked it. Have a great end of the week – so looking forward to the weekend.